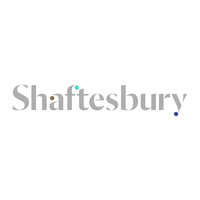 Shaftesbury PLC (LON:SHB), the Real Estate Investment Trust that owns a 15-acre portfolio in the heart of London’s West End, today announced its results for the year ended 30 September 2018. § Portfolio investment1: £193.1m. Acquisitions: £167.8m and capital expenditure of £25.3m on schemes across 177,200 sq. ft.
“It has been another year of good progress with growth in income, earnings and the value of our portfolio. Our results continue to demonstrate the appeal and qualities of our carefully-curated and iconic destinations, underwritten by the global attraction and exceptional features of London and the West End. Footfall and spending in our locations continues to be largely unaffected by the widely-reported headwinds affecting the national economy and consumer confidence. General demand continues to be firm, buoyed by the trading conditions our tenants are reporting. Importantly, our ownership clusters enable us to curate distinctive locations and we continue to focus on growing their appeal by offering an ever-evolving experience with a variety of affordable, contemporary retail, restaurant and leisure choices. This approach supports the prosperity of our tenants and sustains demand for the competitively-priced commercial and residential accommodation we offer. § Leasing transactions1 with a rental value of £31.4 million completed (2017: £31.1 million). Commercial lettings, lease renewals and rent reviews1 (rental value: £23.2 million) concluded at an average 5.1% above 30 September 2017 ERV. § At our three completed larger schemes, 84.4% of the income is now contracted or under offer. 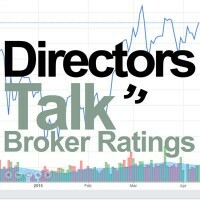 ERV of uncontracted space is now 1.3% of wholly-owned portfolio ERV. § Excluding larger schemes, EPRA vacancy1 at 30 September 2018: 2.7% of ERV (in line with 10-year average) of which 1.3% was under offer. § Total portfolio valuation2,3: £3.95 billion. Valuation growth2,3: +3.8% (2017: +7.0%). – Longmartin joint venture: 3.82% (2017: 3.80%). § Current annualised income3: £121.5 million (2017: £114.1 million). Like-for-like growth: +5.1% (2017: 3.9%). 10-year CAGR4: 5.1%. § ERV3 increased by £9.5 million to £154.0 million (2017: £144.5 million). Like-for-like growth: 2.4% (2017: +3.5%). CAGR4 over 10 years: 3.9%. § Portfolio reversionary potential3: £32.5 million, 26.7% above current annualised income, of which £11.8 million relates to refurbishment schemes in progress at 30 September 2018. § Acquisitions: £167.8 million, including the freehold of 72 Broadwick Street, Carnaby, six buildings in Neal Street, Seven Dials and 35/36 Great Marlborough Street, Carnaby. Other acquisitions in Carnaby, Covent Garden, Chinatown and Soho. § Strategic forward-purchase of 90-104 Berwick Street, for £41 million (incl. costs) now expected to complete in mid- 2019, as a result of delayed completion of the vendor’s redevelopment scheme. § Redevelopment and refurbishment schemes1 during the period across 177,200 sq. ft. (9.7% of floor space). Capital expenditure1: £25.3 million. Our share of capital expenditure in the Longmartin joint venture: £2.4 million. – Projects with an ERV of £8.1 million completed in the period. New schemes (ERV: £10.0 million) commenced. – 174,700 sq. ft. (representing 7.6% of ERV6) being held for, or under, refurbishment at 30 September 2018. – Secured vacant possession of 65,300 sq. ft. of space at 72 Broadwick Street. Planning application to be submitted shortly. Works expected to start in summer 2019. – Continuing to identify further asset management initiatives across the portfolio to increase rental potential and unlock value. § Selective disposals of non-core assets: proceeds £13.3 million, £4.6 million above book value at 30 September 2017. § Share placing in December 2017 at £9.52 per share raised £260.4 million (net of expenses). § Revolving credit facilities extended and refinanced. Earliest maturity 2022. § Cash and available debt resources: £343.5 million, of which £92.7 million already earmarked for investment. § Group LTV2,3,5: 22.8% (2017: 26.7%). § Weighted average maturity of debt3: 10.2 years (2017: 10.3 years). § Blended cost of debt2,3: 3.2% (2017: 3.3%). Marginal cost on unutilised facilities: 1.6%.